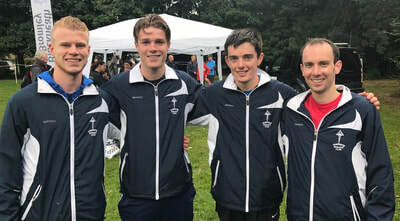 A Tonbridge men's team finished 4th in the Reigate Priory Cross Country Relays. ​Leeds Abbey Dash 10km road race. ​Photos courtesy of Richard Owen. 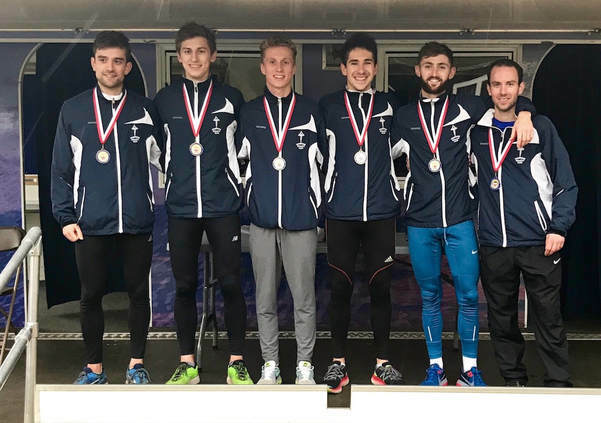 ​It was one of the great days in the club's history as the senior men won a titanic dual with Aldershot to capture the title for the first time, whilst the under 20 men also took home the gold medals. Ian Crawley has written his blog and updated the league tables. ​Richard Tosh, Brian Buckwell and Mark Pitcairn-Knowles have teams at the top of the league table. See the Fantasy League page for all the details. 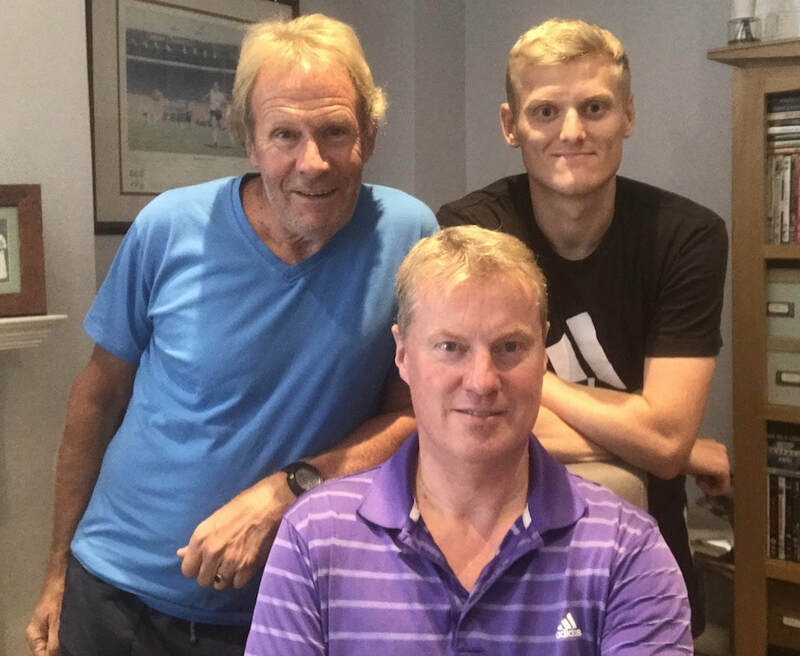 A year ago James Taylor completed a preview of the Mansfield course. See the video below. ​Whether you are competing, spectating or not even going its quite entertaining ! 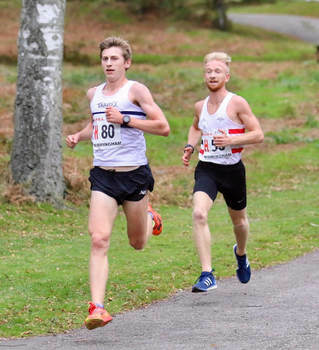 Chris Olley has been rewarded for his recent National Road Relay performance with his first England senior international vest. 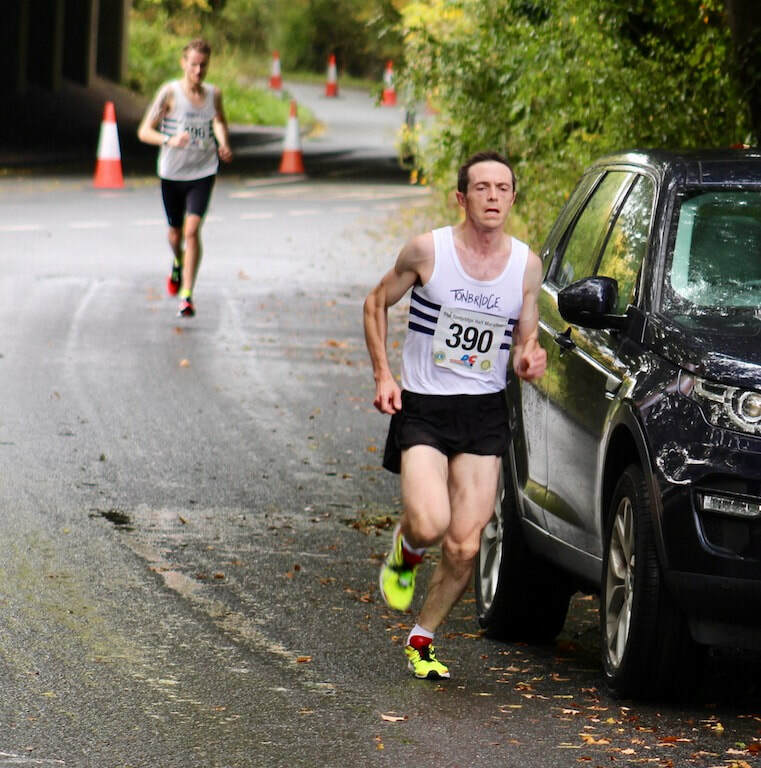 He will run in the Armagh 5K road race that takes place in Northern Ireland in February. The latest episode of Trackside Podcast is now available to listen to. See the Trackside Podcast page for full details. This week on Trackside we discuss finances in our sport plus the England Commonwealth Games selections. We also had Cathy Hughes making her debut alongside Alex Hookway, Mark Hookway, Pete Brenchley and Lewis Church. Full results are also on the Results 2017 page. 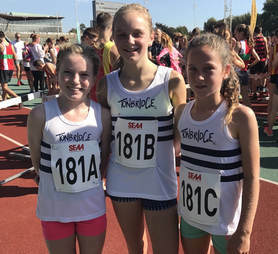 The results include the junior 1 mile races held before the league events. 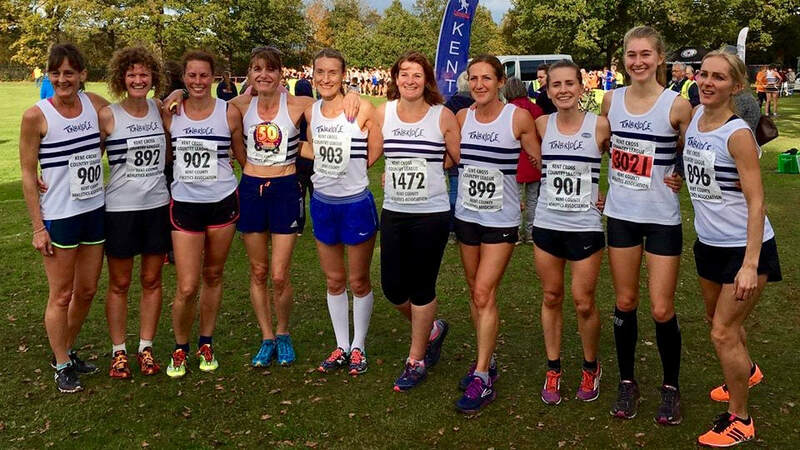 TAC Kent League records for the number of starters - 42 females, 79 males and 121 overall. Senior Men - 2nd Ben Cole. Team 2nd in 4 to score, 2nd in 12 to score. 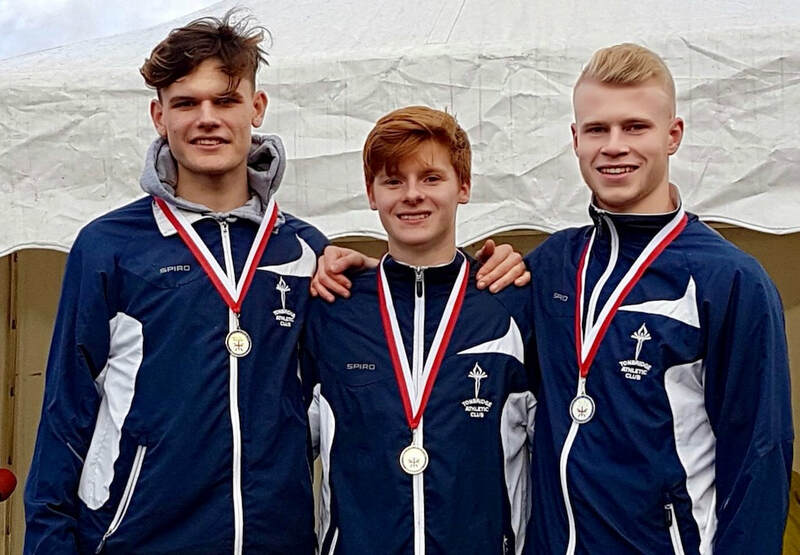 In the USA three TAC distance runners competed for their universities in the Conference Championships, all over 8 kilometres. Henry Pearce (Tulsa) 9th in 25.43, at the American Athletic Conference Championships, at Philadelphia. With much fanfare and attendant excitement!? we have reached the 3rd addition of Fantasy XC League. 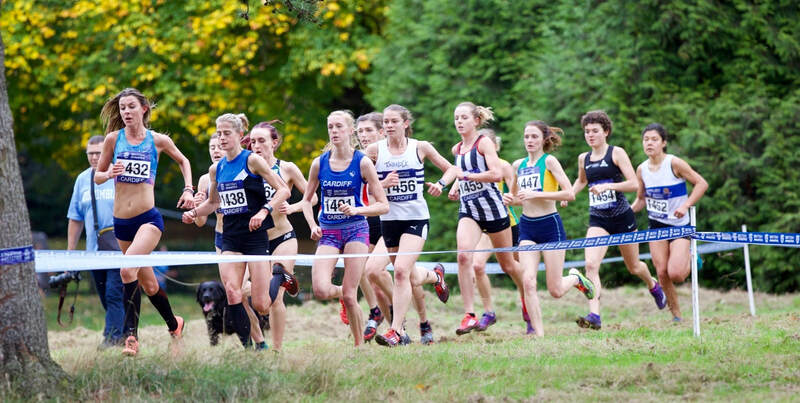 The winter season is a month underway with some early XC as well as road races under our belts. As ever athlete performances are difficult to predict. This year I have taken over the responsibility of athlete pricing from JT and a quick squint at the Athlete Averages for the first race will reveal that I have made a bit of a fist of it, thus proving the point. I’ll say up front that FL entries this year have been disappointing, but on the positive side there seems to be more athletes than ever training and competing- we had a record turnout of 110 for the first qualifying event of the season at Stanhill Farm; notably the veteran, or (as I prefer to call it) the masters, section which supplied 26 athletes notably the ladies who dominated the TAC SW team. The total included 22 FL debutants. Top points scorer with 200 was J Bryant, who presciently as it turns out, was the most heavily backed SM athlete. There were 4 athletes that closed out last season with a 100% FL race record. 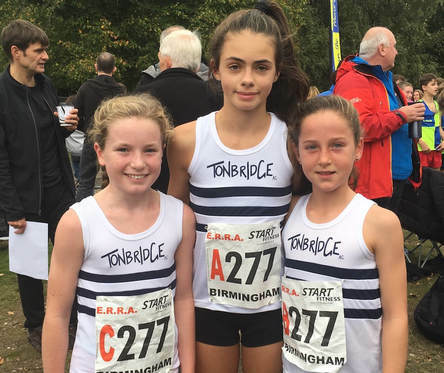 Three of these maintained their record – Bede PK, Lucy Kingston and JT; the later two have a 100% record over the whole history of FL! Yea Go you!? The aim this year is to beat the 15/16 record of 7. Best average for the day was the hopelessly under-priced Josh O’Brien- U15B, with 56 points per million and first into the Bullseye Club Lounge. Best Seeded Athlete Average for the day was 31ppm by O Dunn. Josh was only selected for two teams and Ollie not at all, so my poor judgement is clearly shared by most of you! Best New Kid on the Block performance of the day L Knight (VetW) with 44ppm. 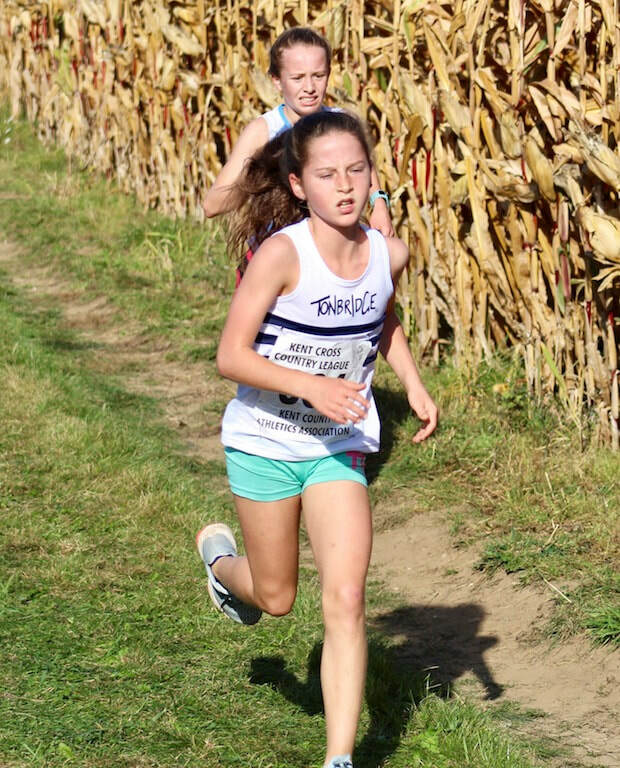 Best performance in a new age group goes to G Fleming actually stepping up two age groups for 7th place in the SW race and O Breed -1st as a first year U13G. Step up in Class prize for the day apart from those named above I would probably go for A Jeddo with 12th in the U13B . Other Mentions in Despatches: H Patton (20.8ppm); T Bennett (42ppm); I Ellis (21ppm); O Bowart (28ppm); and L Stewart (17ppm). Now to the main action – the teams. 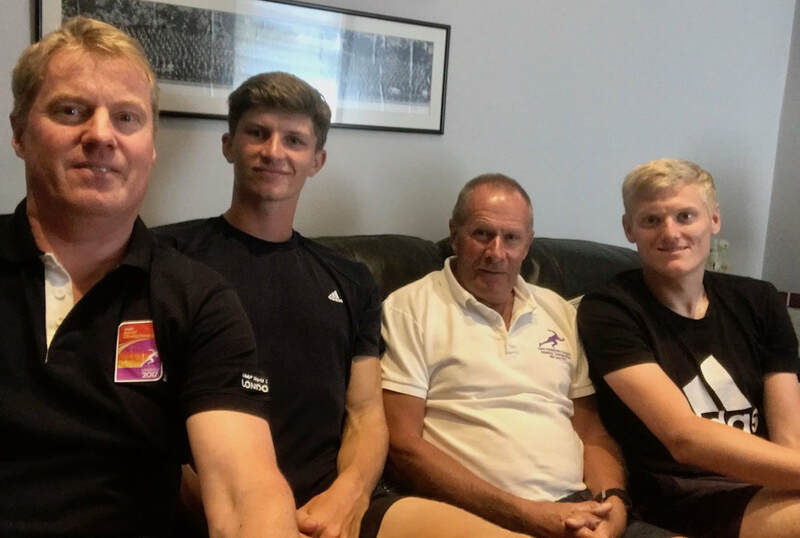 In the A team category (6 athletes; one athlete from each age group) the best score of the day was 506 from Tony Bennett’s Auditors A Listers team of Ian’s TAC ticks team of S Slack, M Wise, D Schofield, G Fleming, J Bryant and M Heslop. In the B team category (6 athletes from any age group) the best score of the day was 603 from Dan Schofield’s Too XC for my Shirt 2 team of F Gordon, M Watson, S Crick, J Bryant, J Stoney and J Rendall . Like the team name also. The best Player Manager team was, perhaps not surprisingly, Jamie Bryant’s First Team, also including L Stewart, S Coates, S Coppard, S Crick and G Saker with 408. And finally the best Bargain Team with 148 was JT’s Sloggers comprising A Roeder, A Thompson, G Hopkins, J Bingham, D Brown and M Dubery. At the other end of the table both Alex and Mark Hookway conspired to pick teams that scored “nil” points with Mrs Brown’s Boys and the Night Clubbers. A limited edition print of Pete Brenchley’s new autobiography “ My Life as a Feminist Icon” to both of you. 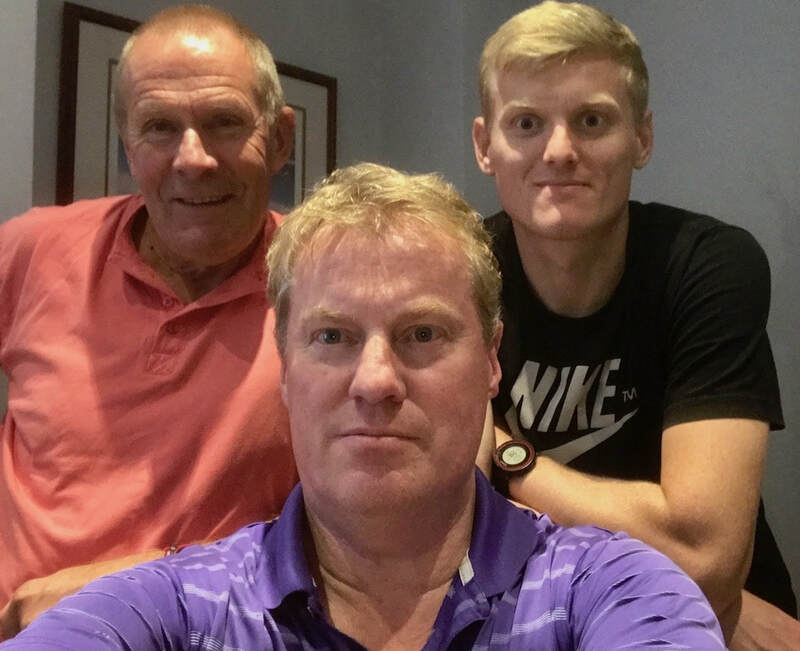 Due to the benefits of extra points for unused budget, (70 points per million) which are credited at the beginning of the season, the leader in the club house after one event is Brian Buckwell’s Nicki’s Choice team with 2442 . Due to lack of popular appeal the Dreamteam series has been sold to an out of favour Hollywood studio. Finally, the first nomination for the season defining, Terrible Team Names prize is last year’s winner F Gordon’s Nauseous But Georgeous ; a partly true reflection of its own spelling. Finally, finally if you have not entered yet and wish you had, you still can; you won’t score any points for the first race, but everything else will be the same. 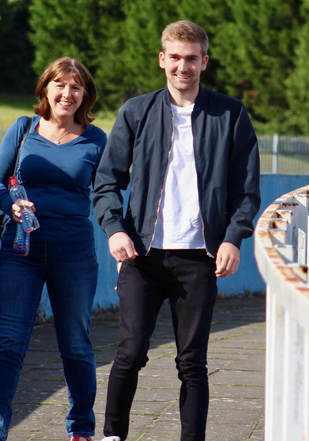 Its been not quite five months since Tom's cycling accident back at the end of May. Remarkably he not only survived but has made incredible progress and I just have to share this with everyone (Tom has given me the ok). He has also managed to 'run' for 10 metres last week ! His rowing has included 2 x 5 minutes so far on the Concept 2 rowing machine. Many thanks to his dad Guy for the video. 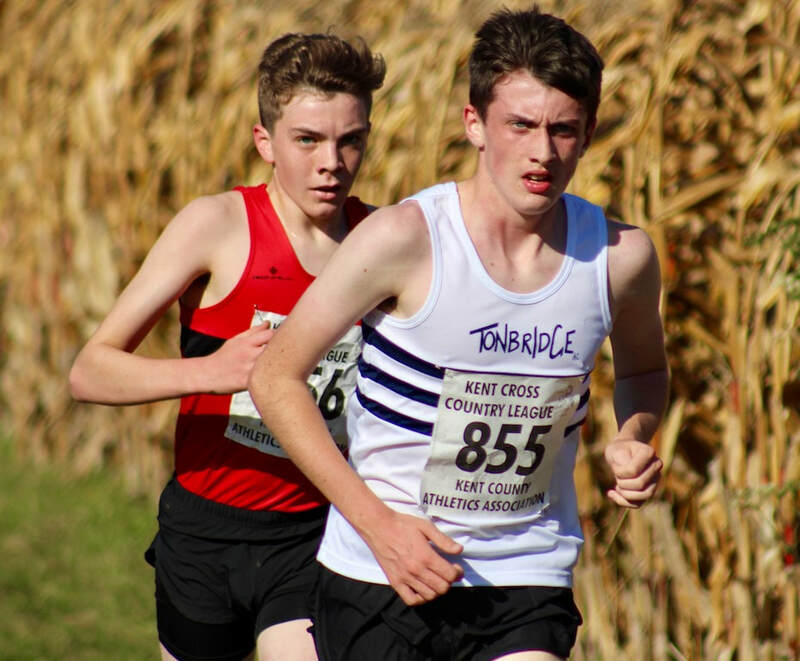 Tom was a member of our National under 20 cross country relay team that won at Mansfield in 2016. Harry Paton ran 33.59.6 to win the 10k that started near Stocks Green School on Sunday. Its a low key event with about 200 participants and Harry won by about four minutes. Tony Bennett took third place. Chris Olley, running for Imperial College, London, was a comfortable winner of the first London Universities League. The latest episode of Trackside Podcast is now available to listen to. See the Trackside Podcast page for full details. 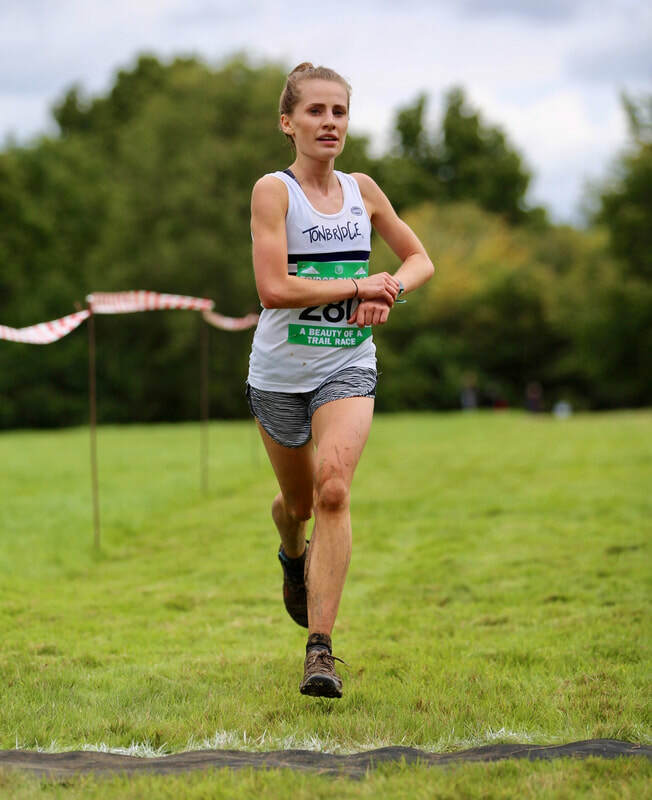 This week on Trackside we discuss the recent road relays and what needs to be done for these events to flourish in the future. We also look at lifestyle choices of athletes, and how far would you go to reach your potential? There is also the usual look at recent performances and more. 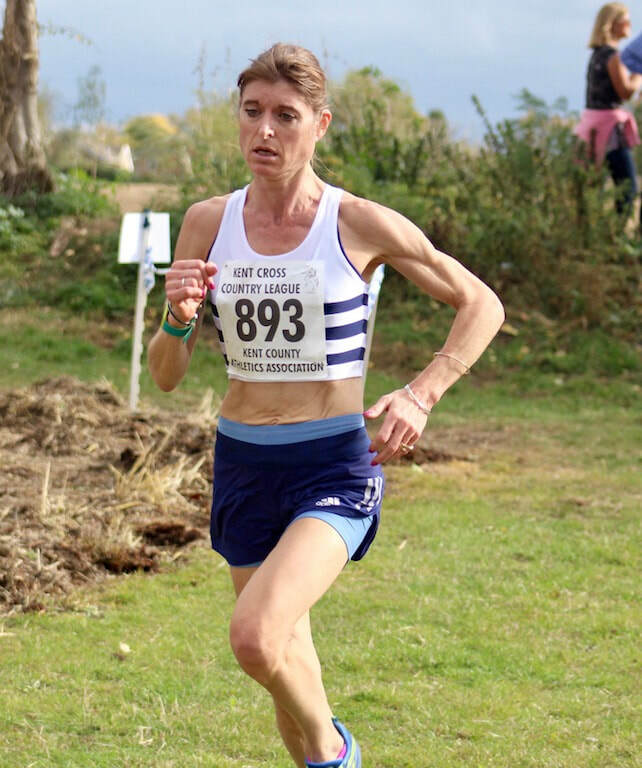 Antonia Skerritt finished an excellent third in the Maidstone Half Marathon in 97.56, having raced in the Kent Cross Country League the day before. Full results are on the Results 2017 page. 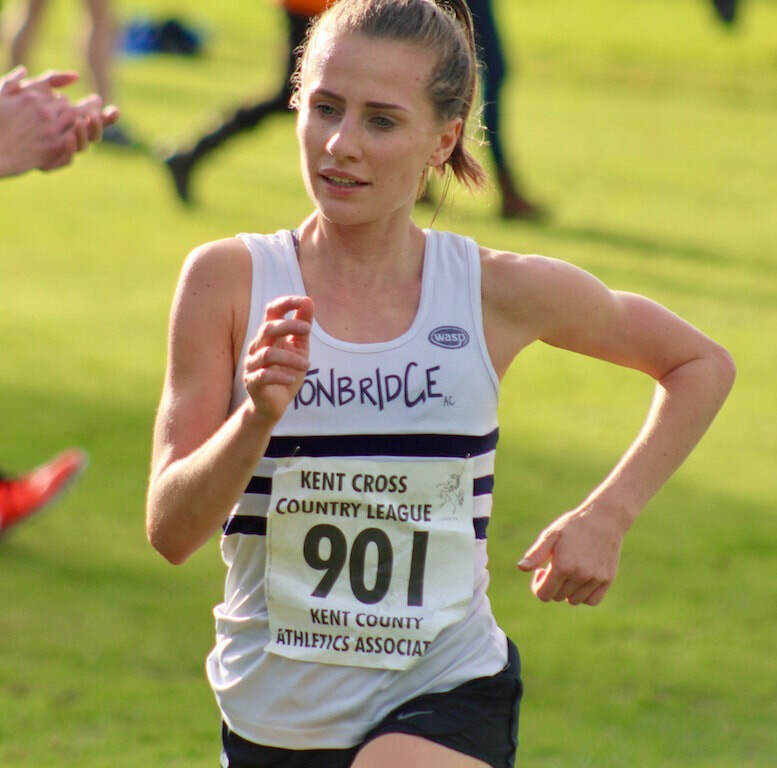 Nicole must have had one of her best ever races defeating, amongst others, former National Cross Country Champion Lily Partridge. 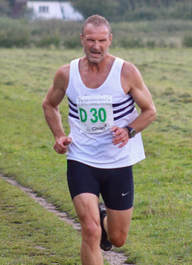 Graeme Saker has been selected to run for England, over 55 age group team, in the home countries international in November. 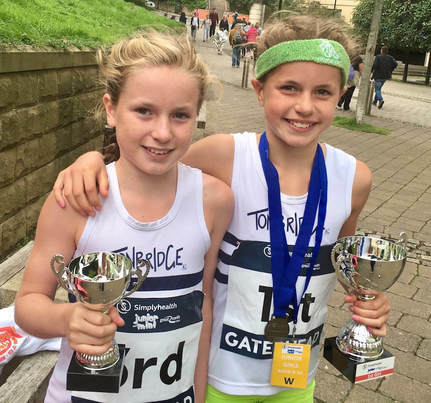 We had teams in all eight races with the under 13 girls capturing only the second set of TAC female medals this century, with their second place. Under 15 boys 8th, Fraser Gordon 9th fastest, Under 15 girls 12th, Katie Goodge 4th fastest. They are also on the Results 2017 page. ​I have been trying to edit all the video footage but have had some difficulties. I will hopefully resolve on Monday. 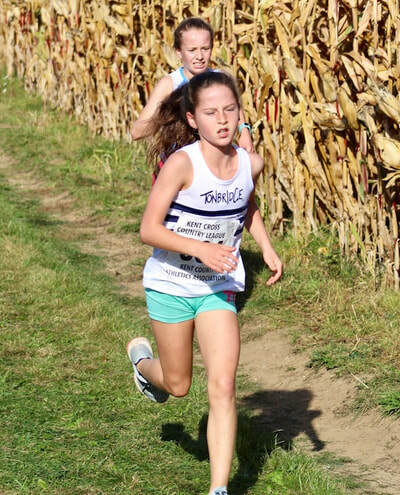 Judd School won their first trophy of the cross country season, with a team of six, all being members of TAC. The Judd/TAC placings were 3rd Dan Schofield, 4th James Kingston, 5th Isaac Harding, 6th Adam Van der Plus, 8th Toby Emm, 20th Ben Brooks. Again there were plenty of TAC runners in action for their schools in the first round of the English Schools Cross Country Cup. I have highlighted as many names as I can recognise on the full results that are available on the Results 2017 page. There were wins for Anais Fernandez-Laaksonen and Maddie Wise. 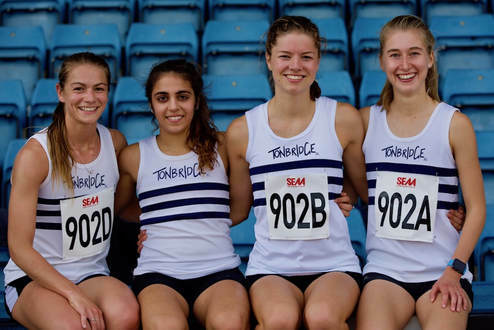 TAC have qualified for the British Athletics League for the 2018 season. We will be in Division 4 alongside Derby, Nene Valley, Croydon, Reading and Portsmouth. Alex Hookway, who was team manager of the Southern League team, decided to submit the club's entry into the qualifying 'paper' match. This involved submitting the best performances from the league season which are then matched up against those of other clubs. Tonbridge won the 'match' and therefore received the invitation from the BAL. Decisions are being made about the Southern League team and the u17/20 team, where team managers are required. Alex was stepping down from his SAL team manager role, due to the lack of support across all events. 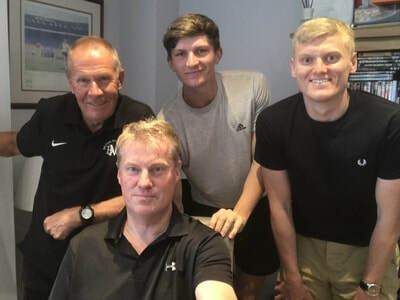 However, the BAL will provide a league platform for many of the club's top performers, including some classy multi eventers and Alex will manage for this team. 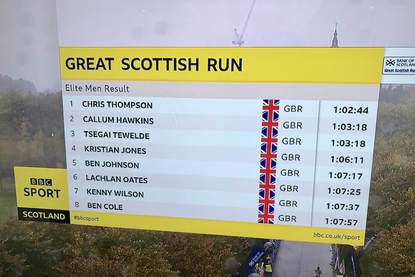 Ben Cole finished 8th in 67.57 at the Great Scottish Run over the half marathon distance. It was shown live on BBC. 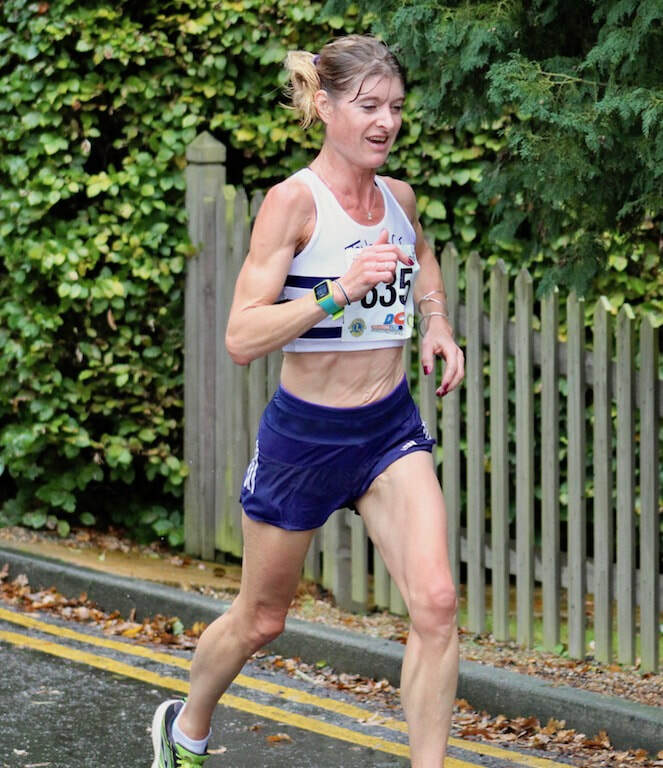 Julian Rendall and Maria Heslop emerged victorious at the Tonbridge Half marathon. Julian ran 74.17 and Maria 83.34. ​Full results are on the Results 2017 page. 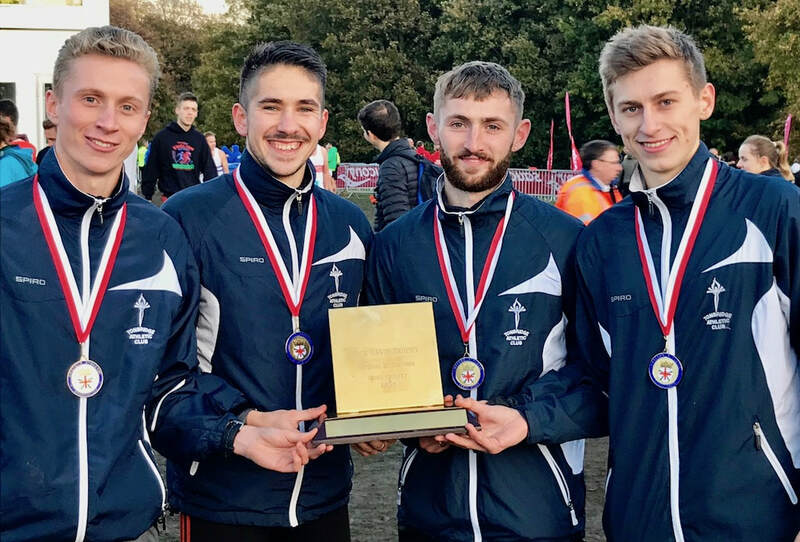 We currently have three TAC distance runners over in the USA at university. 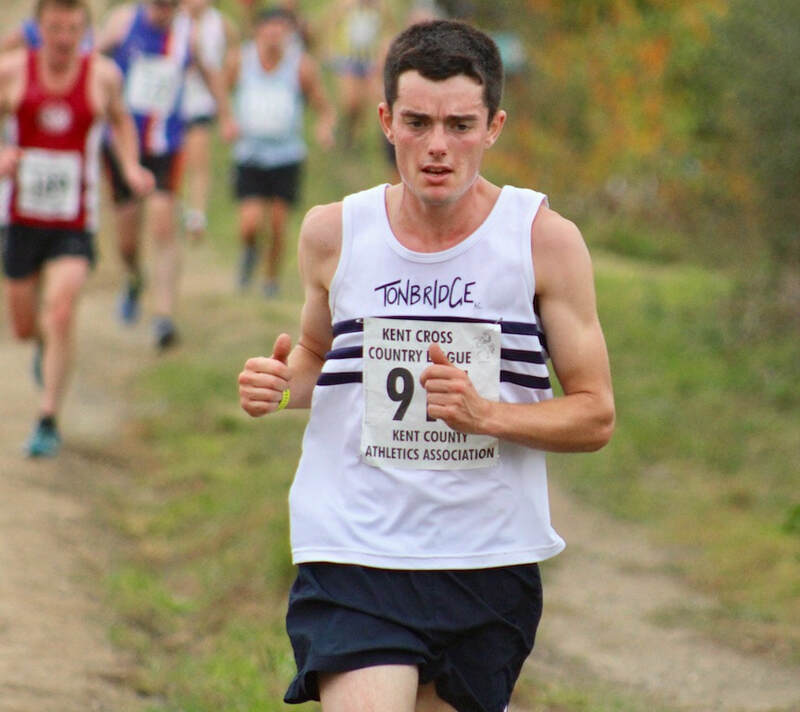 Robbie Farnham-Rose is finishing off his degree at Alabama but won't be competing for them, having completed his allocation of race eligibility. He hopes to come back for the National Cross Country Relays and Championships. Alex Howard is at the University of San Francisco, in his first year of two. Henry Pearce is in his second year at Tulsa. Henry finished 32nd in the Cowboy Jamboree cross country invitation at Oklahoma. See the Trackside Podcast page for a full explanation of what it is all about ! 'Off Season' is over and Winter is coming! On episode 22 we talk Eliud Kipchoge and the Berlin Marathon, continue our discussion on coach athlete splits and look at what we have in store this winter. We also talk recent performances, recent news and more. Plus we play the first edition of 'Mystery Athlete'. 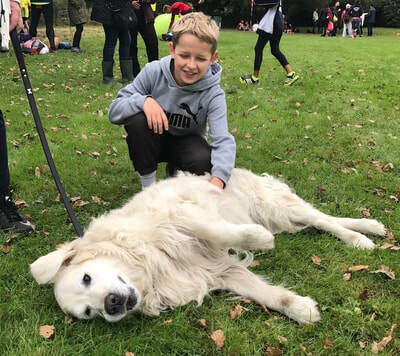 The day didn't start too well for TAC with the news that the South of England Athletic Association had 'lost' all our entries.so no athletes in the programme, no numbers and no chip timing. Luckily a copy of their receipt of entries was available and they accepted something serious had gone wrong. However, it won't be until later that all our runners are added to the official results, manually. It wasn't until the final race of the day that TAC got amongst the medals with the senior men a close second, just 13 seconds behind Highgate Harriers. The B team also got inside the top 25 to qualify for the National. We also picked up 4th place in the under 13 girls and 5th in the under 17 men. 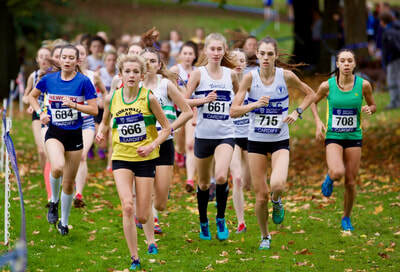 The under 15 boys were 7th and the senior women 11th. I am posting results as soon as possible, as the organisers are resolving issues. ​From what I can see there are still errors and I am using our own video and other work to try and determine some individual splits. Tom Holden - the most uplifting appearance of today ! Alex Howard finished 58th in the Roy Griak Invitational in 26.44. Alex was racing for the University of San Francisco over 8km. Ian Crawley (photo below from Saturday) is launching this years TAC Fantasy Cross Country League, to help raise some funds, but mainly as some competitive fun over the coming months. Initial details are provided in the file below, with more on the Fantasy League page. Full results are on the Results 2016 page. 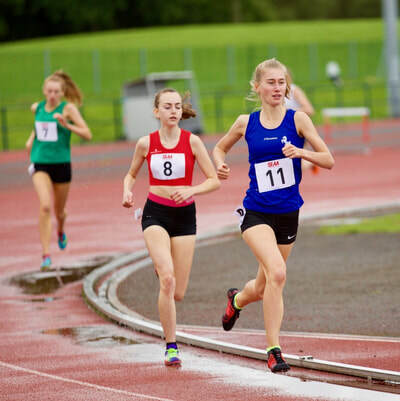 Olivia Breed won a silver medal in the 1200m, plus a bronze over 800m. 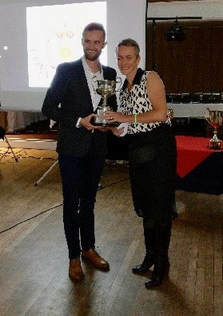 Tonbridge held onto the mens team trophy, winning for the eighth year in a row, whilst also regained the women's title. The mens race saw two TAC teams battle it out as Ben Cole, Alasdair Kinloch, Sam Crick and Jamie Bryant defeated the team of Corey De'Ath, Dan Bradley, James Puxty and Julian Rendall. We are pretty sure that Corey ran the fastest lap of the race, with 12.34. The women's team of Nicole Taylor, Kiri Marsh, Vita Milana and Sarah Houghton also won, with Sevenoaks School (featuring Phoebe Barker, Maddie Wise and Clara Tyler all TAC) beings second. Nicole (14.11) and Phoebe (14.13) were the two fastest female laps. ​All my photos are on Facebook. Below - Corey De'Ath fastest lap, Oscar (with Frank Coates) is so pleased that cross country is back ! 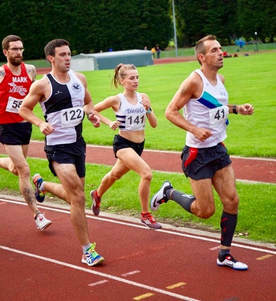 Two TAC Distance Runners took part in the Vets AC 10,000m track championships on Wednesday evening, at Battersea. Ben Reynolds (m50) ran 34.36.2 and Dan Madams (m40) 35.23.5, although Dan admitted that he felt awful. The overall winner Simon Baines was TAC in his youth. Harry Paton had one of his best ever races (as described by himself) when he won the National Police 10 mile road championship in 55.51. This massively improved Harry's four year old pb of 58.27, despite the very windy conditions. 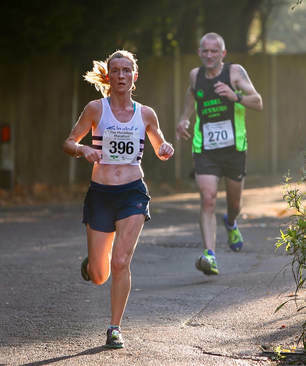 1st Ben Cole 63.13, 2nd Julian Rendall 64.28 (1st M40), 7th Female Lucy Reid 69.45, 1st female,), 8th Nicole Taylor 70.25, 11th Jack Keywood 73.20, 16th Steve Keywood 78.11 (1st M50), 84th Lottie Richardson 91.08. Graeme Saker finished 4th in this evening 5k in 17.48. Episode 21 of Trackside Podcast is now available. After 3 weeks away we are back with a brand new episode. We give our Track season highlights, discuss Michael Johnson's suggestion to remove less popular events, and talk the future of Athletics. We also debate the reasons for athletes and coaches parting ways, discuss some recent notable performances and cast our eye over a number of other notable news stories in the World of Athletics. Get in touch via Twitter (@tracksidepod), Facebook (www.facebook.com/tracksidepod) or email (tracksidepod@gmail.com). Download past episodes or subscribe to future episodes of Trackside Podcast by The Athletics and Cross Country Podcast for free. ​Also see the TAC Masters Updates page. 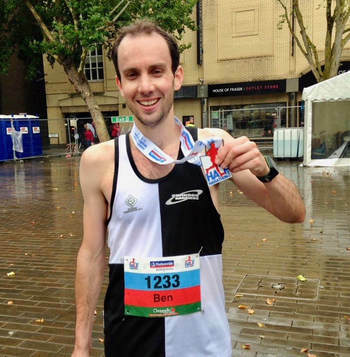 Ben Cole was just sixteen seconds outside his personal best in winning the Swindon Half Marathon in 68.08. 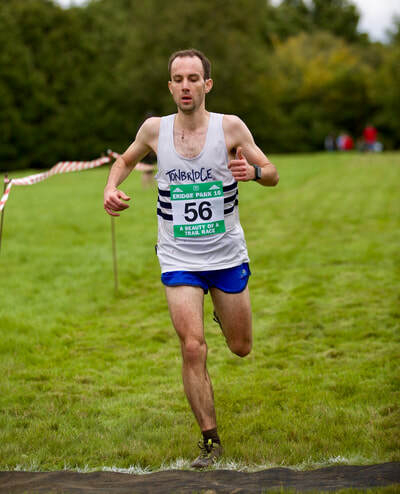 His brother Greg ran 78.21 for 14th but was taking it rather steady after his 100km win the previous weekend ! 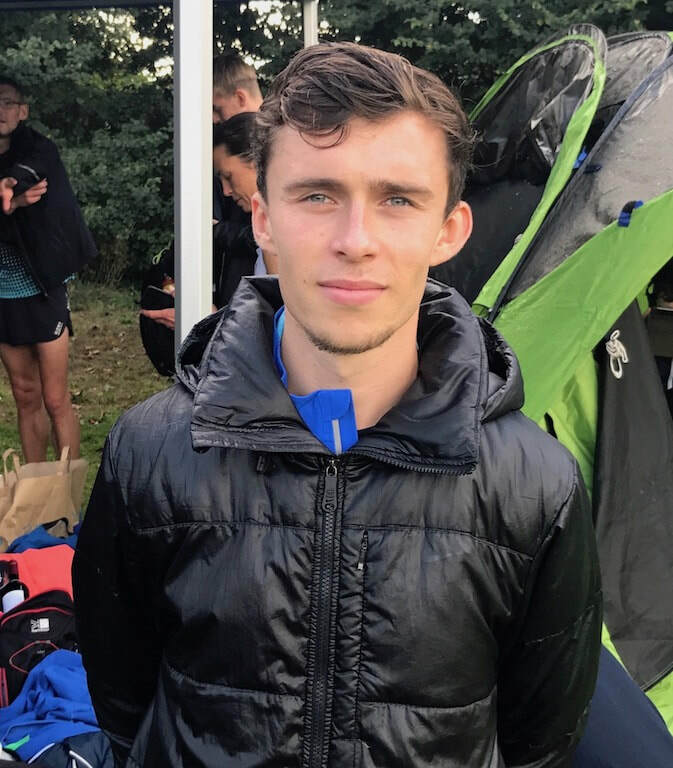 Alex Howard is one of three TAC distance runners who are attending USA universities this Autumn, with Henry Pearce and James West being the others. 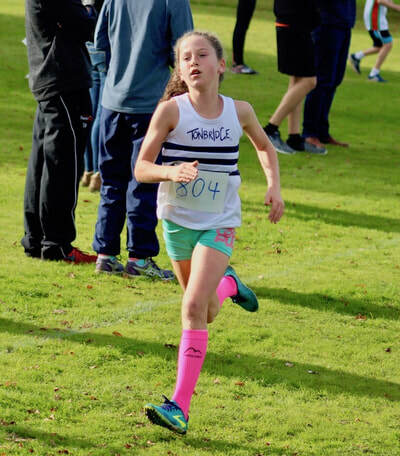 Alex kicked off the cross country season with a solid 8th place over 8km at Golden Gate Park. The first 'Winter' season fixtures are in September and as the Team Manager for most of the events I (Mark Hookway) need to start planning entries. I have also made a brief guide to the Winter available below and will update the respective Race Information pages. So far about 200 people have replied, so many thanks. 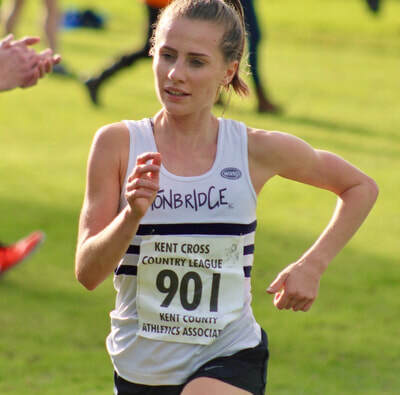 It was one of the warmest days of the year, but there were still many good late season performances, including plenty of personal bests. 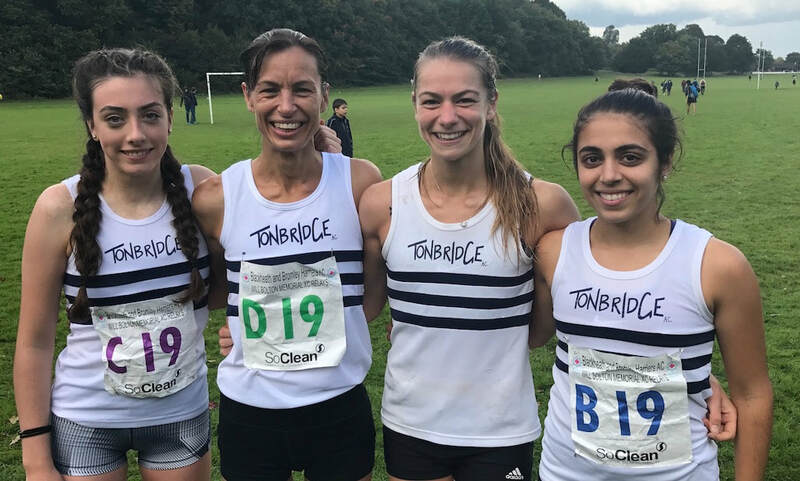 ​Track results are on the Results 2017 page, plus a summary of the TAC Distance Runners. TAC had three runners competing - 3rd Dan Watt, 8th Tony Bennett, 14th Joe Watts. Harry Paton placed 4th in 35.10. The times were slowed by the lead bike taking the first group off course by 200 metres. 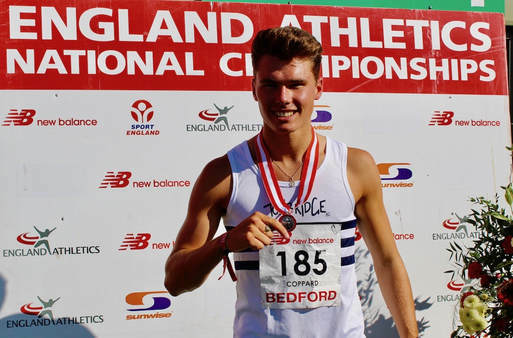 Simon Coppard produced a breakthrough performance at the National Championships. On Saturday he qualified comfortably through the heats, recording 1.59.89. The final was on Sunday, where he finished second in 1.51.97, slicing almost three seconds from his personal best. Rebekah O'Brien just missed the under 15 girls 800m final, finishing 4th in her heat in 2.19.52, which lowered her pb by 0.3s. She also finished 5th in the High Jump with 1.56m. 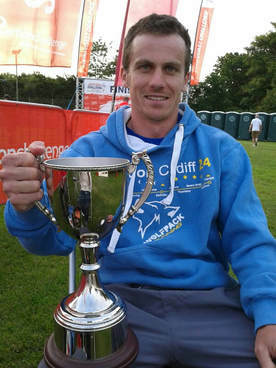 Greg Cole not only completed one the best ever tests of endurance by a TAC runner but won this 100km race in 10 hours 16 minutes and 41 seconds. He broke the course record by an hour in the process, over this extremely hilly route. Greg was also raising money for the Help the Heroes charity. The TAC highlights were a 1500m win and pb for Sam Crick in 4.05.16, a Dan Schofield pb of 4.11.66 and a season's best for Kieran Reilly of 3.49.35. Alex Hookway also ran a 400m in 53.18 which is also an official seasons best. Charlie Crick's 400m in 51.74 was also an official pb, although he has clocked quicker in a school race. ​Summary results are on the Results 2017 page. 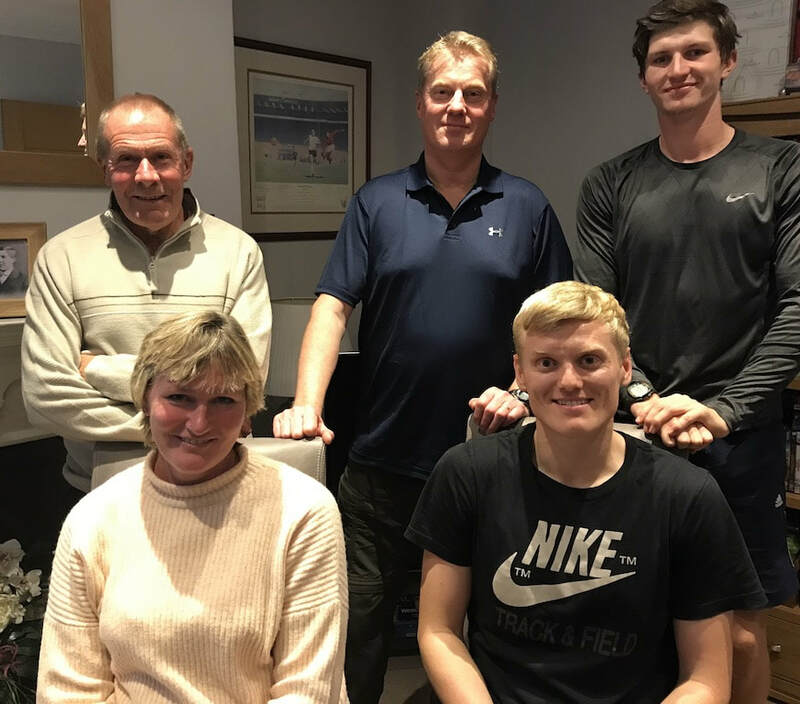 James West had his first ever experience of a Diamond League meeting, as he raced in the 3000 metres. He was alongside Mo Farah, who was having his final track race in the UK. Unfortunately for James he had a tough run placing 11th in 8.16.32. An incredible series of last day results saw Tonbridge convincingly win, at home, to finish the league on 16.5 points, as Norwich also won their match, to top the division on 17.0. Meanwhile, Croydon and Stevenage were beaten in their last match to finish on 15.5 and 16.5 points, respectively. So with just two promotion places at stake it came down to Stevenage and Tonbridge for the runners-up spot in the league. A final count of match scores, across the five fixtures, resulted in Tonbridge scoring 1031.5 points and being beaten by just half a point by Stevenage. Corey De'Ath ran a road 5km pb of 14.46 when he finished 7th in a high class race at Ipswich. 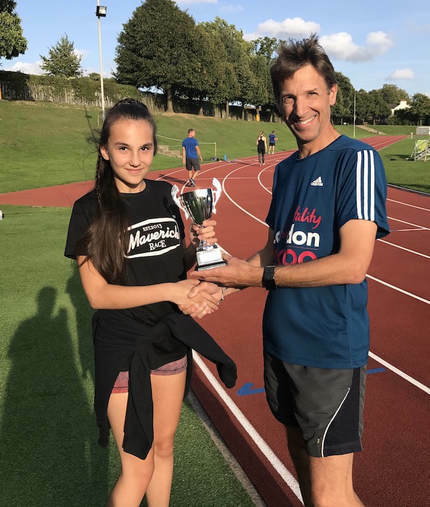 Mark Pitcairn-Knowles presented Aimee Holdstock with the TAC Parkrun Grand Prix trophy on Thursday evening at the club. 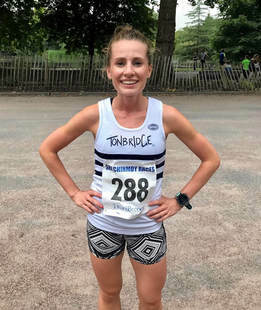 Aimee clinched the title with the best score (based on age gradings) across four Tonbridge parkruns in June and July. Tom has made tremendous progress since is accident at the end of May. He is now at St George's Hospital, Tooting, where is undergoes daily rehab work. He is chatting, joking and managing to now walk a bit with the aid of support. 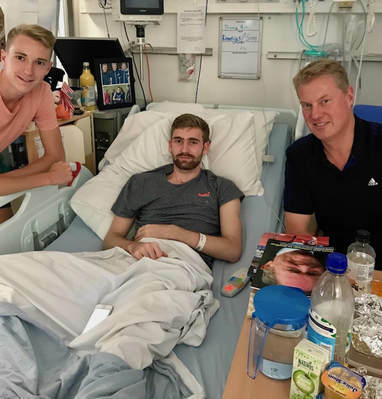 Bit by bit he is improving each day and week, which was so good to see when myself and James West visited. 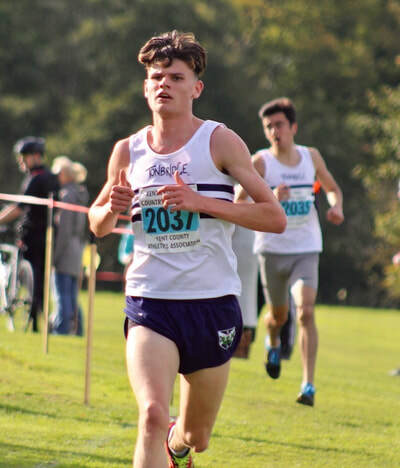 Dartford Open Meeting - Cameron Payas (u20) ran around 8.51 (unofficial) for 3000m. Results are awaited. Looking at the comparative results between last Wednesday at Watford, when the weather was pretty awful and those at Bromley suggest around a two second differential in 800m times. 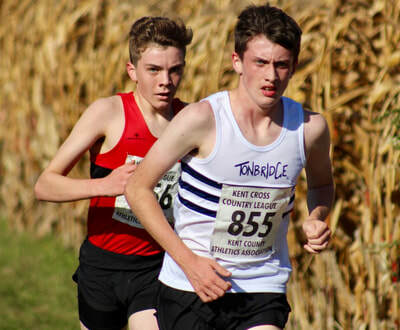 This week Kieran Eland and Christian Lee (u20) lowered their personal bests to 1.55.30 and 1.57.38, respectively. Episode 20 of Trackside Podcast is now available. Myself, Alex Hookway and Pete Brenchley review the World Championships and delve into some of the controversies, surprises, athlete tactics and other points. ​Here are a few of the athletes who made big improvements on their personal bests, over the last week or so. It was generally an awful evening for many racing at Watford, with jammed motorways delaying arrivals and then terrible weather conditions. 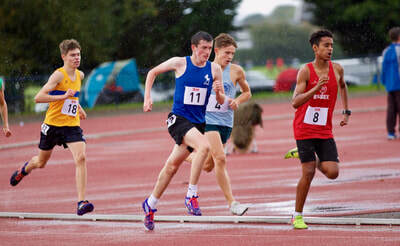 Cold, wet and windy weather greeted athletes and supporters and persisted through most of the evening. The only TAC personal best came from Korede Fasina in the open 800m with 2.16.29, which was an improvement of 2.8s seconds. Videos ate loaded, although apologies to Korede as I wasn't aware that he was racing and didnt capture his race. Although we don't have any TAC distance runners competing, quite a few have been spectating and Dawn is one of the World Championships' officials. Sean Molloy won the 800 metres in 1.52.87 and was more than four seconds clear of the second athlete. Kieran Reilly had a good race in the 1500m, finishing third in 3.53.89, but just ahead of three runners who have recorded 3.46 recently. This included TAC's Chris Olley who was sixth in 3.55.99. ​The very windy conditions were not conducive to fast times. Tim Faes ran an excellent 15.07 at the Dulwich parkrun, which is only 4 seconds away from the TAC outirght parkrun record held by Chris Olley and George Duggan. James West is due to be the first TAC Distance Runner ever to compete in a Diamond League event. James has been invited to race over 3000 metres, at the Birmingham Diamond League, on Sunday 20th August. There was also a 5k run in which Tracey Horne and Jane Duggan took part.